Terror of the tides + ia ia seems like a potentially nasty combo. 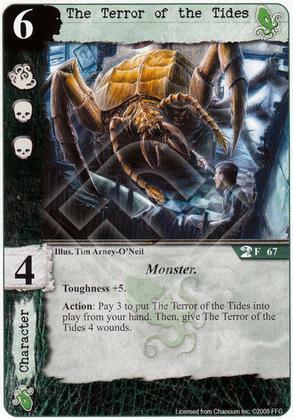 Does the 3 in the action of this card have to include at least 1 cthulhu faction card like if you were playing it normally? That is going in my wound everything deck with ia ia then! I'm confused. Can u still not cast this as 6 and it not have the wounds? Sure you can. The wounds are payment for getting it out quicker.